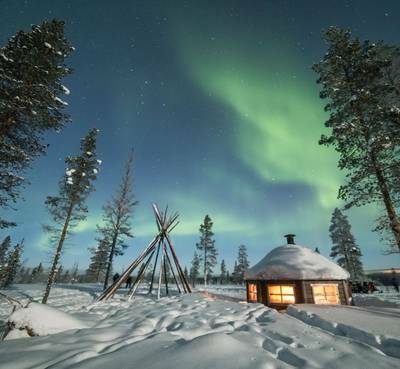 This 3-night break to Wilderness Hotel Inari puts you in spectacular surroundings and dark night skies for Northern Lights viewing. 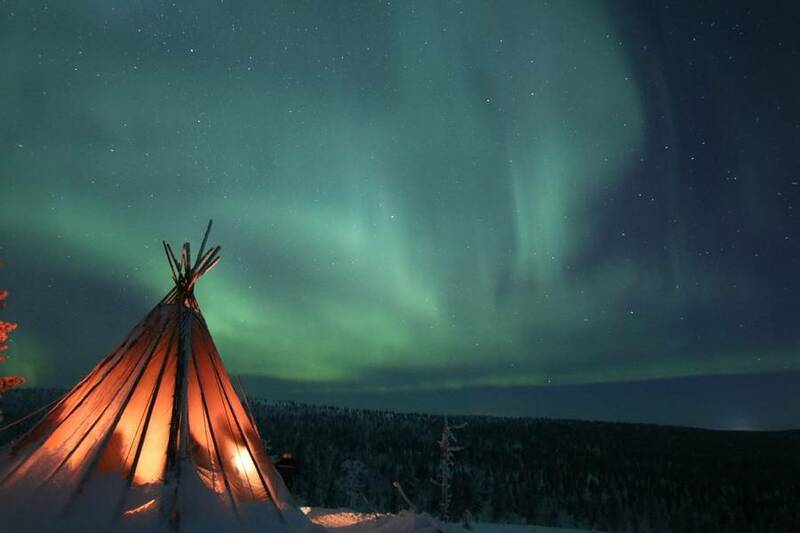 We’ve included activities such as dog sledding and snowmobiling as well as dedicated Aurora excursions. 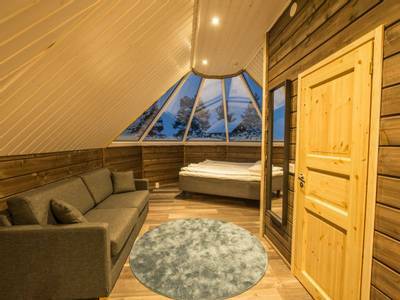 This is a wonderful Arctic short break. 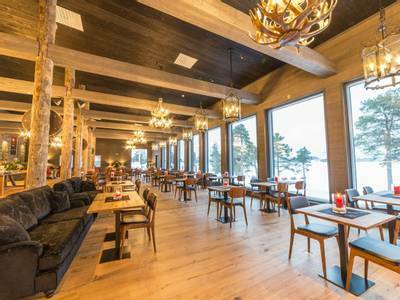 Sitting on the edge of one of the largest lakes in Finland, Wilderness Hotel Inari delivers some real wow factor. 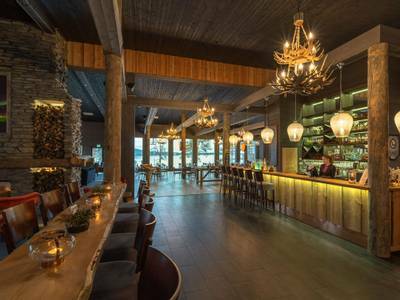 When you enter the main restaurant and reception building to check in, you can’t help but get excited about spending the next three nights in such surroundings. 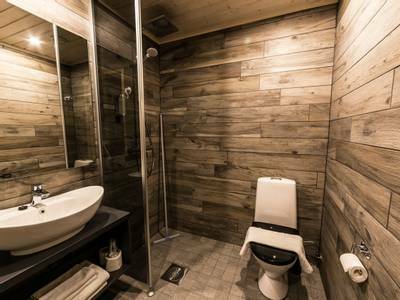 The panoramic views of the lake are worth it alone! 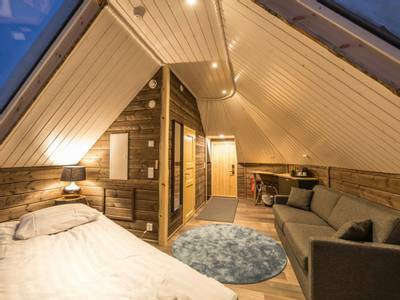 This short break is ideal for those who are short on time and do not want to miss out on experience as it incorporates some favourite activities into a short space of time. 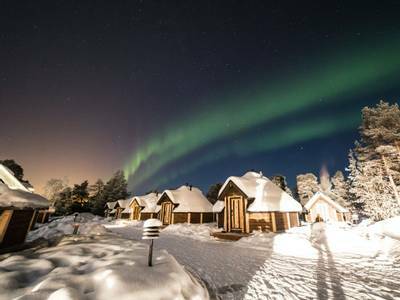 You also will spend two nights making the most of the hotel’s prime location in the Aurora Zone, searching for the lights in the company of expert guides. We kick off your stay with a wonderful combination of activities. 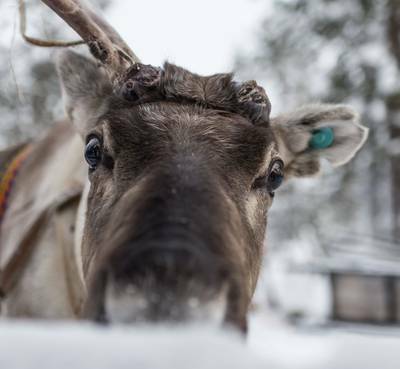 You will travel by snowmobile to a reindeer farm to learn about the local culture and the life of a traditional herder, before continuing your safari to a prime ice fishing spot for a lesson in this most popular of pastimes. 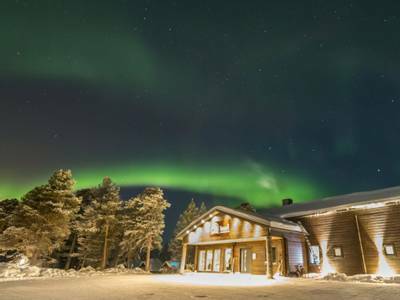 The next day you will take the trails in the company of an eager team of huskies as you experience the delights of dog sledding on the lake. 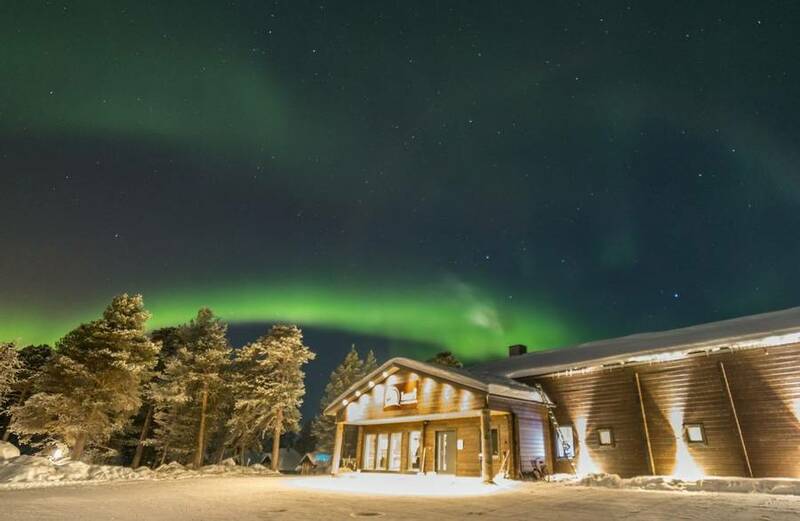 Whilst one of the best viewpoints for witnessing the Northern Lights is indeed the lake just by the hotel (ideal for when you aren’t out on the activities), we have also included two evening trips which are designed to help maximise your chances of catching a display. 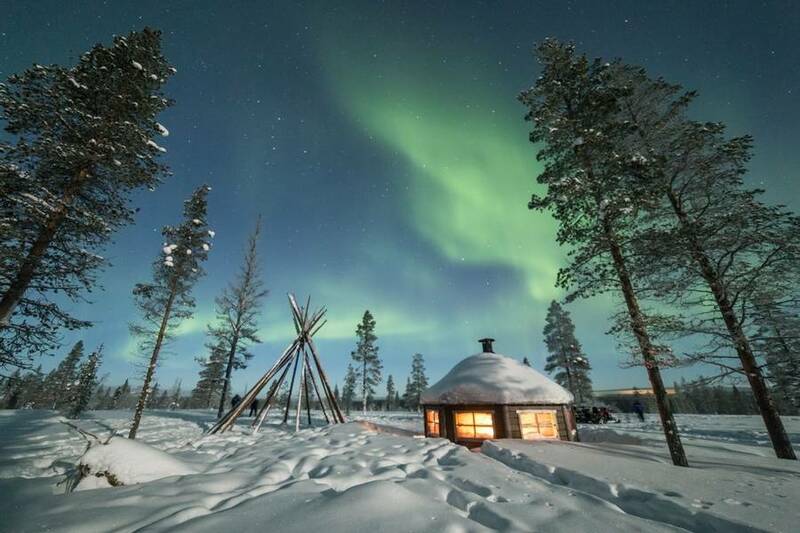 Your first activity will see you visiting one of the Aurora Camps which the guides have created in prime territory and the second of the activities will see you hunting the lights in a minibus or car with an expert local guide determining your route. 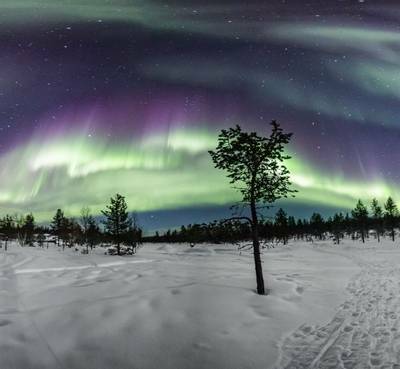 Our guides are hugely passionate and knowledgeable, and they will use their expertise, experience and the latest forecasts to give you the best possible chance of witnessing the Aurora dancing in the sky. 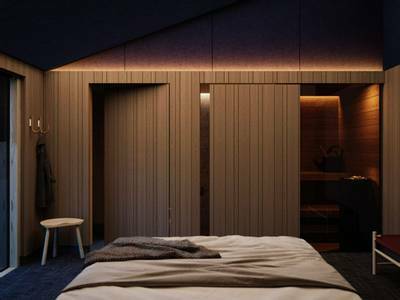 We also include the hotel’s innovative Aurora Alarm system for all guests and this operates until around 1am. It is a wonderful aid when hunting the lights. 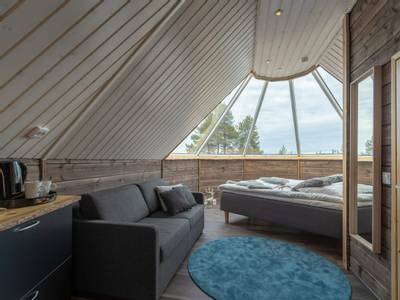 Wilderness Hotel Inari is a very special place and this holiday means that everyone can enjoy the destination and all it has to offer, even if they only have time for a short trip. 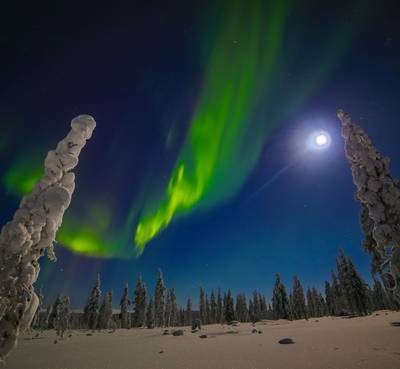 Photography by Matt Robinson, Markku Inkila and Inari Saariselka Tourism. Today you will arrive at Ivalo Airport in the depths of North East Finland. 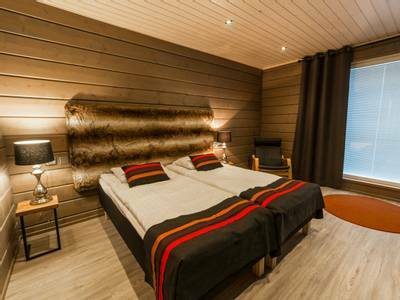 Your driver will be waiting to take you to Wilderness Hotel Inari. 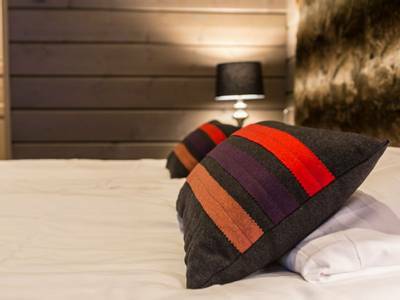 Here you can check in to your comfortable accommodation before you receive your cold weather clothing and Aurora alarm. The team will also provide your final agenda for the activities (as the order may change). 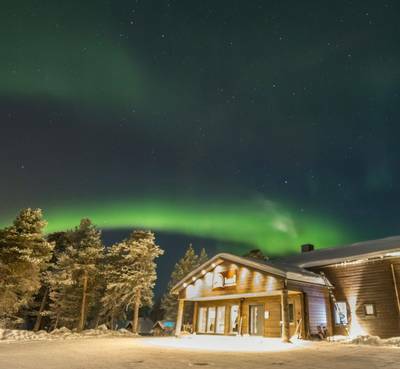 Dinner will be served in the hotel’s wonderful restaurant this evening and then you really should head down to the lake to check the sky for any displays before heading to bed. Things get started in style today with a fabulous range of activities. 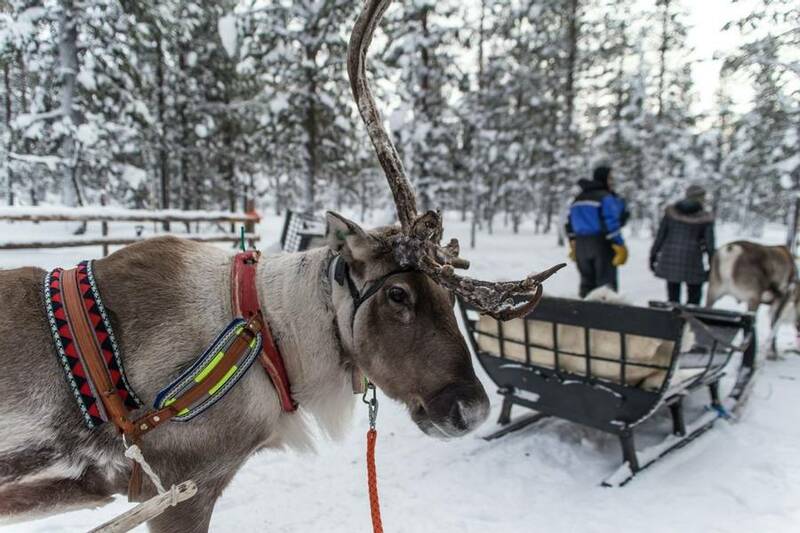 First on the agenda is a visit to a local reindeer farm. 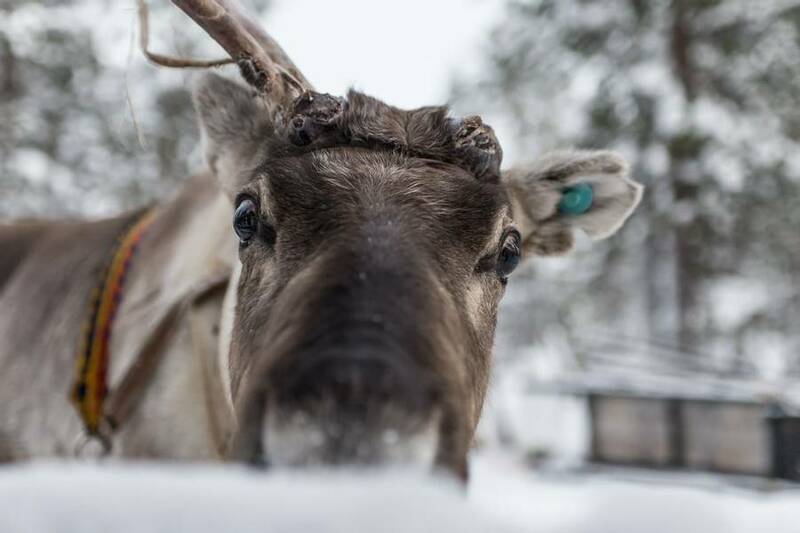 After you transfer, the herder will greet you and will provide an insight into their fascinating way of life, before you meet the animals and can enjoy a short reindeer-pulled sleigh ride. In total this activity lasts around 2.5 hours. 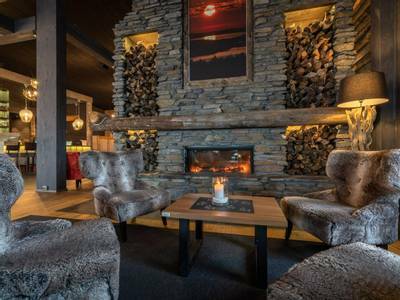 On your return to the hotel, you will get ready for your next adventure, using snowmobiles as your transport. Your guide will provide a full safety briefing and instructions on how to handle the machines before you set off travelling two people per snowmobile. Your destination is a frozen lake where you will drill holes in the ice and then drop your lines into the icy depths below in the hope of catching a fish. 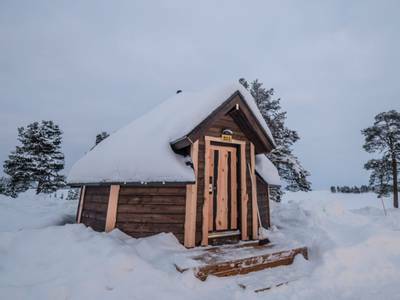 This is one of the most popular pastimes in Lapland and even if you don’t get lucky with a fish, it’s a wonderful way to spend time in The Great Outdoors. Lunch will be cooked by your guide over an open fire (weather permitting) during the activity and in total, you will be out for around four hours. To drive a snowmobile, you must over the age of18 and hold a full driving licence. 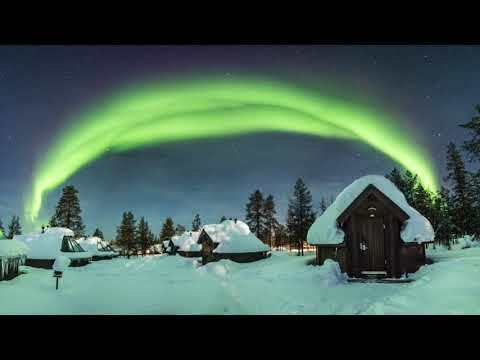 Back at Inari, you will have some free time to relax this afternoon, or perhaps you might like to take a walk into Inari village which is around 40 minutes away. 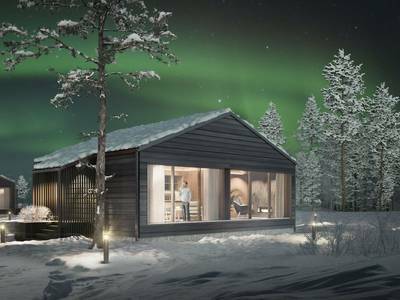 This evening, dinner will be served in the hotel restaurant ahead of your first Aurora activity; a visit to an Aurora Camp. 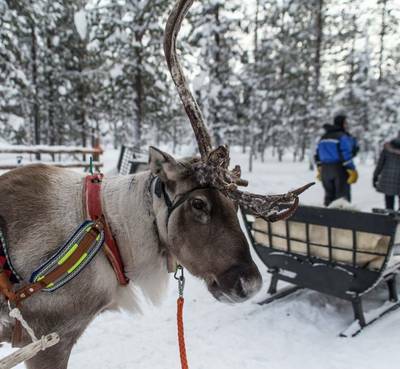 Your guide will lead the way as you travel either in a sleigh pulled by their snowmobile or by minibus depending on the location of tonight’s camp. 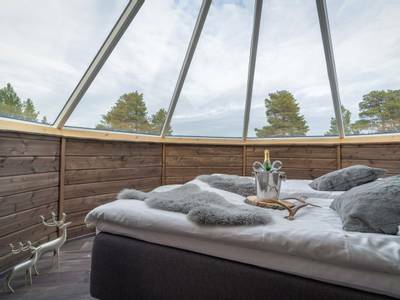 On arrival, you will enjoy the silence of the wilderness whilst watching the sky from an ideal Aurora viewpoint. 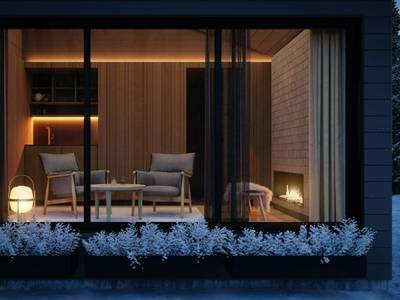 Warm drinks will be served around a fire as you wait and watch. Hopefully, the conditions will be favourable, and your efforts will be rewarded. 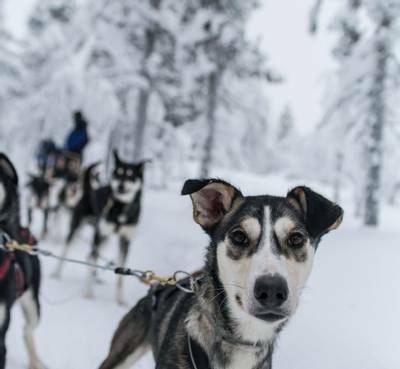 There are few activities which provide the same sense of anticipation and adventure as dog sledding. 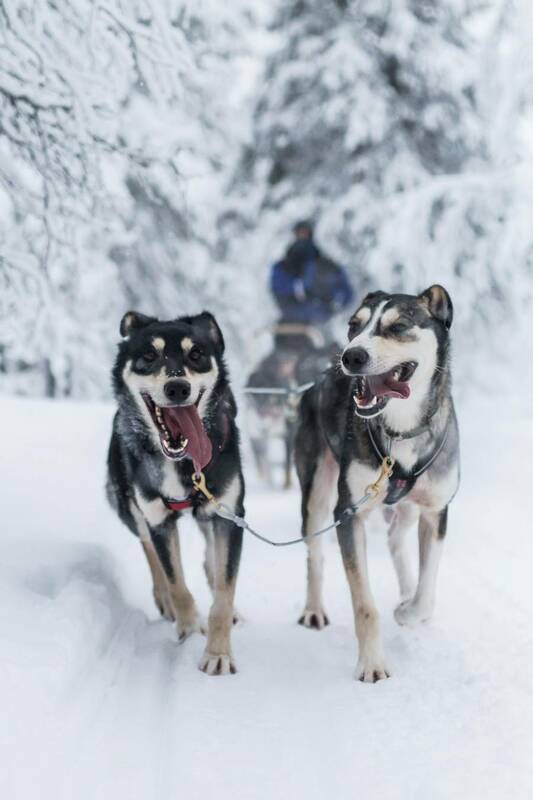 Today it is your turn to feel the excitement as you take to the trails in the company of an eager team of huskies and travel across the ice of Lake Inari. 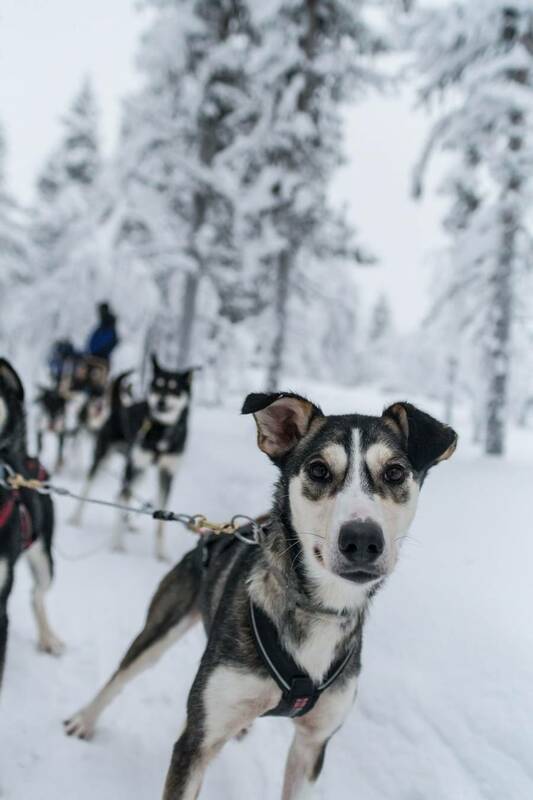 You waste no time travelling today as your musher will come and meet you at reception, before leading you down towards the lake. You will hear the dogs long before you can see them! Firstly, you will be given a full safety briefing and instruction on how to handle the teams, prior to being allocated a sled. As the dogs will be so keen to get going, the time for pictures is saved until after the safari and you’ll head straight out for your adventure. Travelling two people per sled, one of you will ride in the sleigh and the other will take the controls. You will have the chance to swap half way. The route will be determined by the conditions but generally you will cover between 15 and 20km and the experience will last around 1.5 hours. 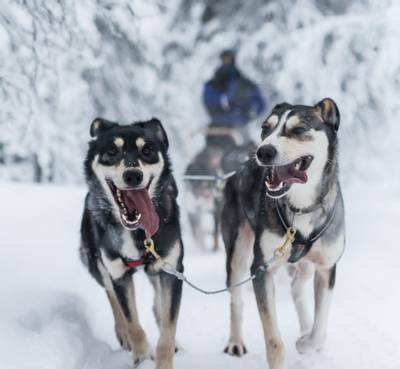 At the end of the trip, there will be time for you to ask as many questions as you like about the dogs and spend some time with your team taking photos. Lunch will be served at the hotel either before or after the safari. 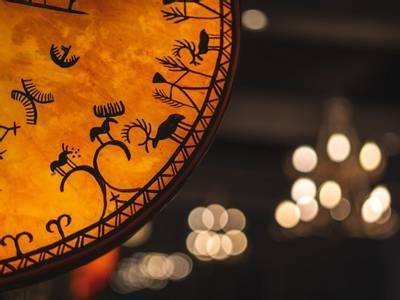 There will be some free time today and you may like to take a walk into Inari Village where the Sami Siida Musuem is a popular attraction. You can walk along the lake or take the footpath directly from the hotel. The museum is very informative and offers the chance to pick up some great souvenirs. 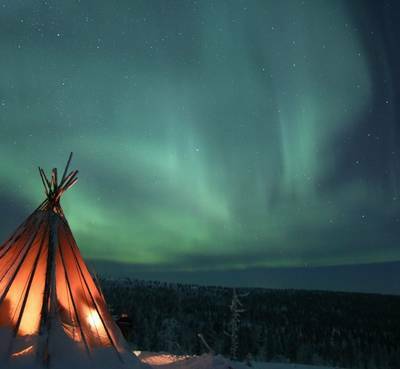 Tonight, after another lovely meal, you will be led on an Aurora hunt with an expert guide. Using the mobility of either a car or minibus, your routes will be selected to provide the best chance of clear skies. 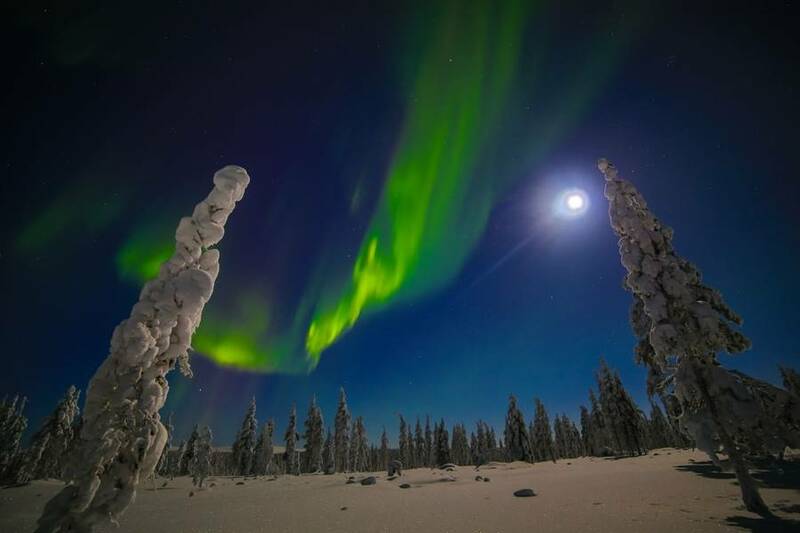 If the solar conditions are favourable then hopefully you will be able to track down a display and witness the magic of the Northern Lights. Sadly, all good things must come to an end and so today it is time for you to head home. You will leave safe in the knowledge that you have really made the most of the last few days. You will be transferred back to Ivalo for your return flights home.